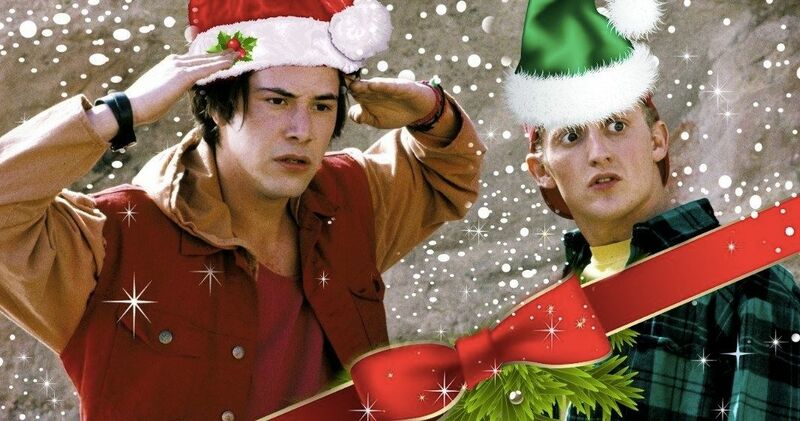 Steven Soderbergh is executive producing Bill & Ted 3 and he believes that the movie could be out in time for Christmas. The long-talked about sequel has been in the works for years and for a while, it looked like it was never going to happen. However, over the past year, a lot of progress has been made. A story by series writers Chris Matheson and Ed Solomon has been finished and it is believed that the sequel will begin filming early this year. The Sundance Film Festival is currently underway and filmmaker Steven Soderbergh stopped by the nearby Slamdance film festival for an interview. Eventually talk about Bill & Ted 3 popped up and Soderbergh said that he has read that script and that it’s “hilarious,” which sounds promising. When asked about a release date, the filmmaker guessed at a possible Christmas time premiere and said, “That’d be a good Christmas present,” which is putting things lightly. Obviously, if Bill & Ted 3 goes into production within the next few weeks, a Christmas release date, or at least a release date by early next year should be doable. That all hinges on the production starting. Late last year, Bill S. Preston Esq. actor Alex Winter revealed that production was supposed to begin in January, but we have yet to hear anything as far as cameras rolling. However, Steven Soderbergh should know better than anyone what is happening with the production at this point in time. Let’s hope that we get some set pictures within the next few weeks. Alex Winter and Keanu Reeves have talked about their excitement for Bill & Ted 3 quite frequently over the last year. The story will take place years after the original series with our heroes as middle-aged men with families. As it turns out, things did not go as planned, and the duo are left to find out why the future that they were promised never happened. Winter recently joked that the older that he and Reeves get, the funnier the idea gets to him. Regardless, fans are ready for the sequel and have been waiting since 1991 for a follow up. Winter and Reeves had this to say in a recent statement. Now that the band is back together, it’s time to get in the garage and start practicing those Van Halen licks because the crowd is demanding at least one more encore from the Wyld Stallyns. With a holiday release date as a possibility, one would have to imagine that going up against Star Wars 9 wouldn’t be a totally awesome thing to do, so maybe a January 2020 release might be a little bit better of an idea. Hopefully some solid news comes down soon. The interview with Steven Soderbergh was first conducted by CNET.